Helene is a supply chain innovator with global and national experience. 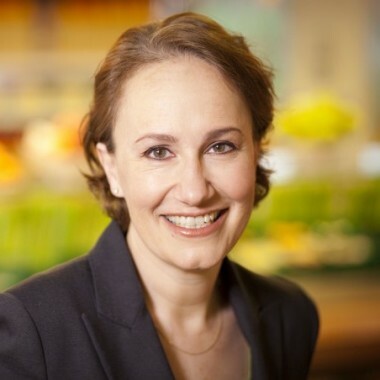 From 2012-2017, Helene had oversight of a procurement team as well as water, waste, and energy initiatives as Global Director, Responsible Business, for Compass Group at Google. Prior to that she was national director of purchasing strategy, and director of strategic initiatives, for Bon Appetit Management Company. Helene has developed new produce, seafood, meat, chocolate, and coffee supply chains for large-scale contract catering services. Impatient with supply chains “as is,” she works to understand what motivates suppliers and to partner with them on making significant improvements. She has visited countless farms, fisheries, and processors. Her deep passion is in helping create channels for byproducts dismissed as “waste,” or sea vegetables (“eat what fish eat”). Helene started her career in food promoting sustainable seafood to chefs who, along with supply chain managers, are the ‘choice editors’ of our food system and the real levers of change. Helene has served on the board of FishChoice and Humane Farm Animal Care, been named an international Seafood Champion by SeaWeb, and presented to audiences at the American Association for the Advancement of Science, the National Academy of Sciences, and the Commonwealth Club. She wrote for The Atlantic online (Food Channel) for 4 years. Helene graduated from Harvard College and the Yale School of Management. Give her a choice of eating oysters or anything else, and those little creatures – raw, fried, on a salad, or in a soufflé – will always win. 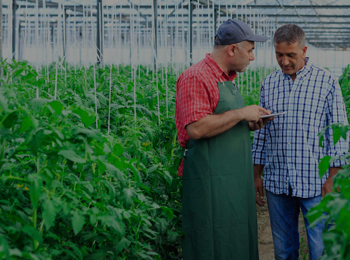 Building Supply Chains for a Sustainable Future will help food business leaders design supply chains through a systems approach that takes into account the interconnected forces of climate change, global food production, responsible sourcing, and distribution. Advantages and inefficiencies of existing supply chains, state-of-the-art procurement systems, and practical roadmaps for profitable sustainability will all be covered in this course.